Have you ever given someone a Christmas present just to watch them say “Thank You” and sit it aside unopened? I have. There’s nothing quite like it! It’s the epitome of a slap on the face of love, a stab directly to the heart. 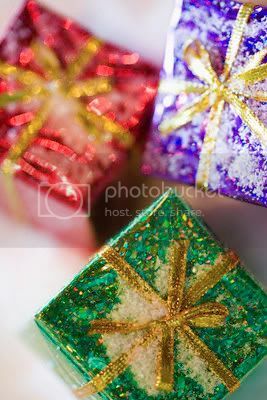 I had searched and searched for the perfect gift, wrapped it with the most beautiful glistening ribbon, made my own bow, and there it sat – unopened. I’ve often wondered why - why did he not open the gift and show me that either he appreciated it, or didn't care for it? Today it occurred to me that there are times I’ve done the same thing to God the Father. I’ve seen the gift He has given, and yet, tossed it aside unopened. I’ve neglected to take the time to explore what He wanted me to receive. Other times I opened the gift, and said “Gee, that’s nice” but placed it on a shelf and neglected to share it. God gives us all gifts of the Spirit. These gifts are valuable not only to ourselves, but also for those around us. They’re to be shared with our friends and neighbors. Sometimes it’s the gift of faith, which when shared could grow someone else closer to God, and allow them to open their own gifts. It could be the gift of healing, which can change and save lives. It could be wisdom to give proper advice. But all of these are gifts from God. Open God’s gifts first this Christmas. Ask Him to send them, and with open arms receive them. God has picked those gifts just for you! He longs to see you enjoy and share them. What you do with them is your gift to Him.